Minden, NV- On November 10, 2017 Maxton Manufacturing Company completed its third elevator control valve training class at a Schindler branch in Las Vegas, NV. Beginning at Schindler San Diego, CA on October 18, 2017 Maxton provided training to 39 elevator mechanics and apprentices during three sessions that culminated on November 10th. 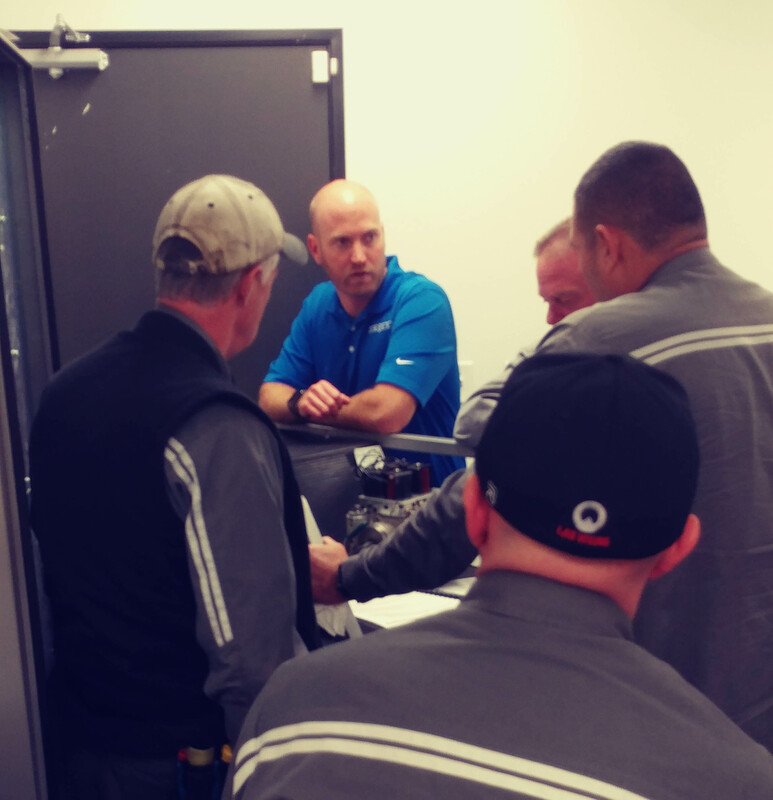 These classes were part of the Maxton NAEC approved CET 4.0 credit hour class covering hands on valve adjustment /trouble shooting, temperature, contamination, pressures and how to handle or prevent these problems from occurring. “This was our third Schindler branch training session to date. We’d like to thank Sam Hagaman, Schindler Las Vegas Field Superintendent, and Nicholas Vasquez, Schindler San Diego Mod Superintendent, for reaching out to Maxton for training.” Billy Shrum Technical Manager at Maxton.